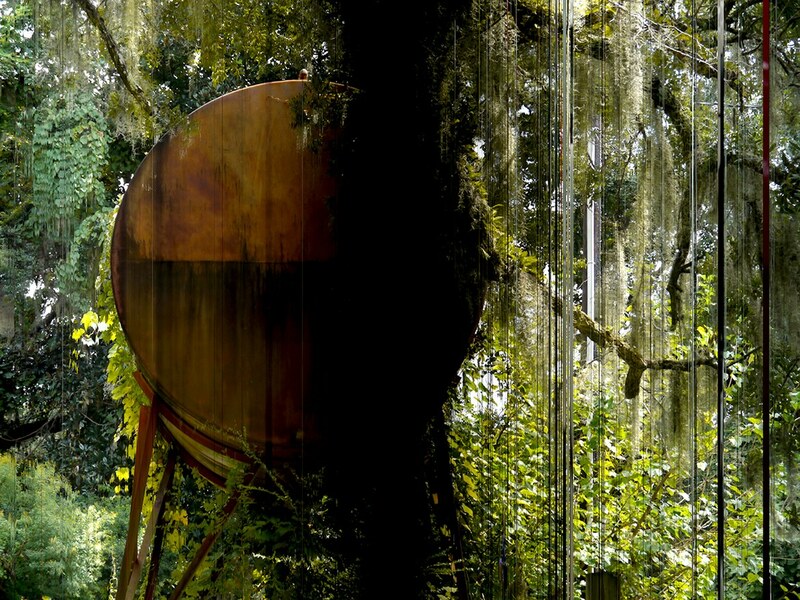 Mary Carothers & Brian McClave, South Carolina, 2017, digital print, 30 x 48 in. The Hite Art Institute is pleased to present “Overshadowed,” a collaborative, experimental exhibition that examines the meeting point between photography, landscape, and astronomy. 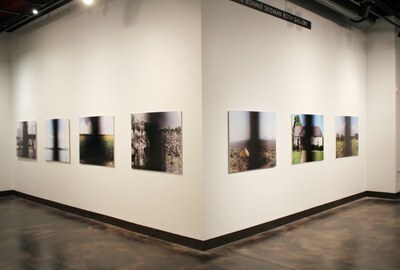 “Overshadowed” began as a collaborative project between University of Louisville professor Mary Carothers (Fine Arts) and photographer Brian McClave, who has developed (along with brother Gareth) a slow-scan technique for producing photographic images. “Slow Scan” photography composites thousands of images into a single digital file. “The images go through software that slices them up chronologically then rebuilds the image, which gives the scanning effect,” says McClave. Each image in “Overshadowed” is a composite of over 4,000 individual images shot over a three-hour period during the 2017 Great American Eclipse. In order to produce all of these images, Carothers and McClave invited photographers, including professors, graduate students, and professionals, to capture the eclipse in all of the states across its Path of Totality. Participants included Marcus "Doc" Cravens, a former Marine Corps medic who worked in Afghanistan and Iraq, University of Louisville Astronomy Professor Benne Holwerda, and the Hite Art Institute’s professor Mitch Eckert. 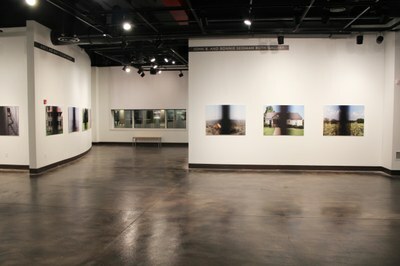 Each slow scan photograph in the show is unique, but each is also connected to the series as a whole via a single unifying subject—a momentary lack of light produced by the moving eclipse. In this respect at least the exhibition mirrors the eclipse phenomenon, wherein every person and place along the Path of Totality momentarily shares in a collective, moving event. And this indeed poses a challenge for the photographic medium—how do you capture a single event over time and in many places? The slow scan method poses one solution. That is, these pictures do not capture how the eclipse looks but rather how it was experienced (in many places and by many people over time). The project is thus a meditation on the relationship between photographic technology and natural phenomena, and between technology and collaborative image making. McClave is a photographer and co-founder of site-eye, a British time-lapse film production company. 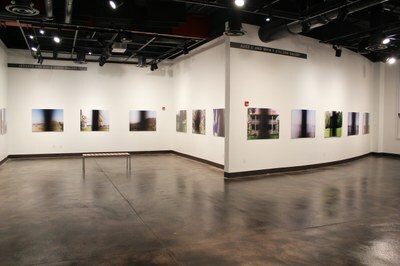 He is a graduate of the Rhode Island School of Design’s photography program. Also a graduate of RISD’s program, Mary Carothers is an artist and professor of photography at the University of Louisville’s Hite Art Institute. Brian McClave will return to Louisville for his lecture, Space, Place and Time at Chao Auditorium Monday, October 2nd from 3:00-5:00pm. The lecture is sponsored by Liberal Studies Project at the University of Louisville. 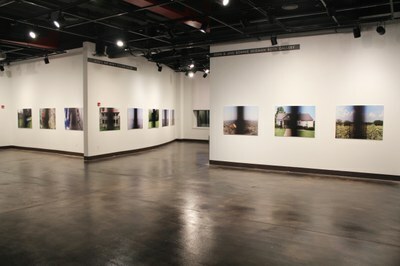 The Overshadowed reception is First Friday, Oct 06 from 6:00-8:00pm at the Cressman Center for Visual Arts.